What's the difference between the Lite Version & the Pro Version? The Lite Version only includes the Deal Analysis Tools, but it does not include the Deal Analysis Reports or Marketing Reports. The Lite Version can be used as a free Tool to help you analyze deals, but if you want to create automatically generated Professional Marketing Reports, you will need to upgrade to the Pro Version. 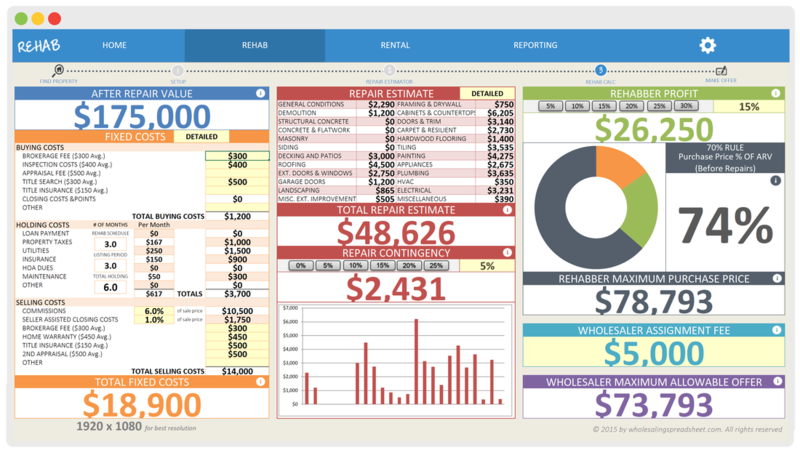 - Repair Cost Estimator Tool Estimate Repair Costs using our Cost Database of 24 Categories & over 400 common repair prices. - Comparables Tool Perform a Comparable Market Analysis to forecast a property's ARV.